Tech Resources How to Choose the Perfect WordPress Theme for Your Website? 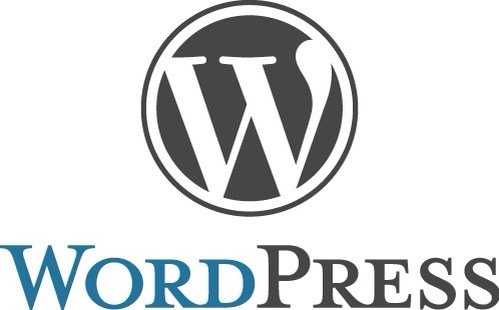 WordPress is the most popular content management system out there. Businesses, big and small, use it profitably. The beauty of WordPress lies in its ease of use. You can set up a reasonably good-looking and very functional website with no technical knowledge. This said, if you know coding, or know somebody who does, like your friendly, neighborly Leesburg VA Web Development company – Applied Tactics – then you can elevate your WordPress blog to the next level. When it comes to setting up a website or blog, either for recreational use or for monetizing it, well begun is half done. And, at the very outset, you should select a WordPress theme that best serves your purpose. There are many different blog themes to select from. Design, layout, functionalities, support, updates, security, ease of use, and cost are the factors that you should consider. If in doubt, do not hesitate to discuss with your Web development Northern Virginia consultant. 1. Responsive design – Internet traffic has shifted irreversibly from desktops to handheld devices. Your website has to be easily navigable on smartphones and also look nice. You can achieve this via a responsive theme. 2. Upgrades and updates– A WordPress site without plugins is like ice cream without toppings, a body without soul, a pirate without treasure…you get the idea. Plugin developers update them frequently. Often, this necessitates some features to be present within the theme. Good theme developers offer automatic updates to ensure smooth website functionality. Upgrades, with newer features that assist in various ways, are crucial for security, more chances to generate sales, and improved browsing experience. 3. Usability – The theme should foster easy use at the back-end, by you, and at the front end by visitors to your site. Here too, you should consult your web development company and discuss the kind of usability that’ll best serve your interests. The usability requirements of an e-commerce site will differ from those of a site designed to capture leads. Browser compatibility is a very important aspect of usability. The theme should run smoothly on all popular browsers such as Google Chrome, Mozilla Firefox, and Safari. 4. Support for multiple languages – For businesses looking to expand their base beyond an English-speaking audience, this is an important feature. You may want to reach out to potential clients in Nordic nations, Central Europe, or Asia. This is a useful option to have. 5. Flexibility with layout – All themes can be tweaked; some can be in a matter of clicks while some may require coding. It makes sense to opt for one where you can easily alter the width, number of columns, spacing, header size, etc. You may want to alter the look of your site based on the content, which may change over time, the size of apps and plugins, and the placement of ads. If you need to set up a WordPress site, then Applied Tactics can help you with all your site development, hosting, and SEO Loudon requirements. Call us today.